a special event where you get to dress up and truly shine! Ellie Wilde is a young designer who has taken the world by storm. She's designed a bold collection that is unapologetically confident yet romantic and vulnerable. Adventurous and unforgettable – this is Ellie Wilde. Find your #WildeChilde and receive a custom perfume and bag designed by Ellie Wilde, and only from us! Be the center of attention at prom this year! Sequins, beads, crystals and embroidery are just some of the intricate details that make Mori Lee gowns as unique as you are. When it comes to red carpet glamour, we have you covered! 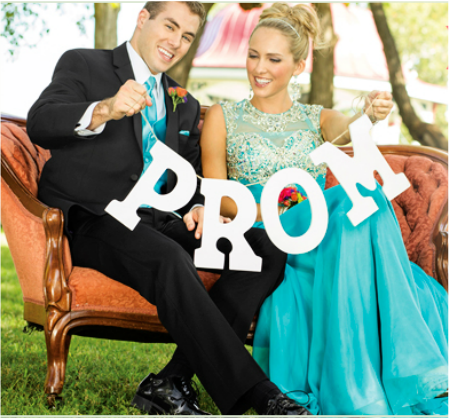 Celebrity Designs has flattering styles in gorgeous colors that are guaranteed to turn any girl-next-door into a prom princess! The Bride's Shoppe is an exclusive retailer for Celebrity Designs. Are you a modern girl who enjoys fashion? Is your personality is as colorful as your wardrobe? Are you’re daring and prefer to keep tradition at a distance? we have the perfect dress to showcase your personality! When you think of prom, do you imagine yourself in a glorious, pouffy skirt? Then we have the perfect dresses designed just for you! When you wear a ball gown, the only thing missing is your tiara! Visit our Fabulous Prom Room and discover your inner princess.